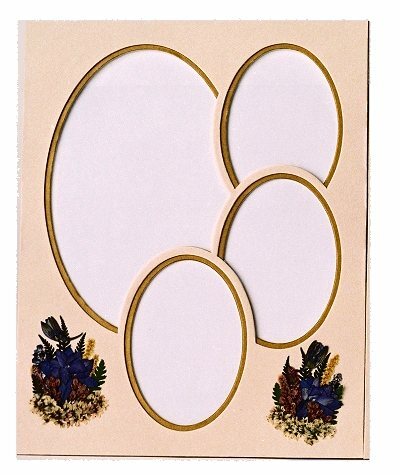 Unique Keepsake Collectable Gifts From Vermont – Floral Design Photo Frames – Collage Photo Frames – Picture Frame Matting and More. Give a one-of-a-kind, hand crafted Vermont specialty gift to someone special! 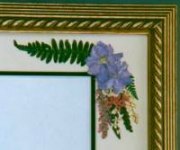 Welcome to Keepsake Collectables, a fine collection of custom pressed flower creations from the pastoral green mountains of Vermont. Tour these pages to find unique gifts for every occasion, including wedding gifts, anniversary gifts, birthday gifts, engagement gifts and more. 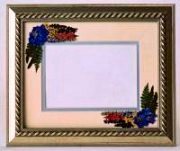 Beautiful, handmade Vermont specialty creations such as photo mats and photo frames, candles and photo albums are available, each incorporating a beautiful arrangement of pressed Vermont wildflowers. 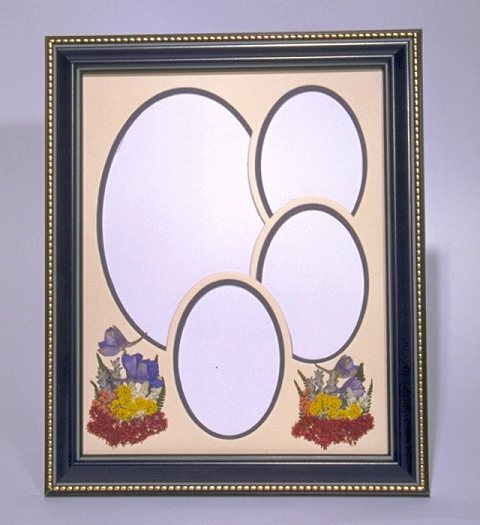 Custom gifts, such as framed wedding invitations, baby announcements, and more, are also available. Unique gifts for all special occasions. 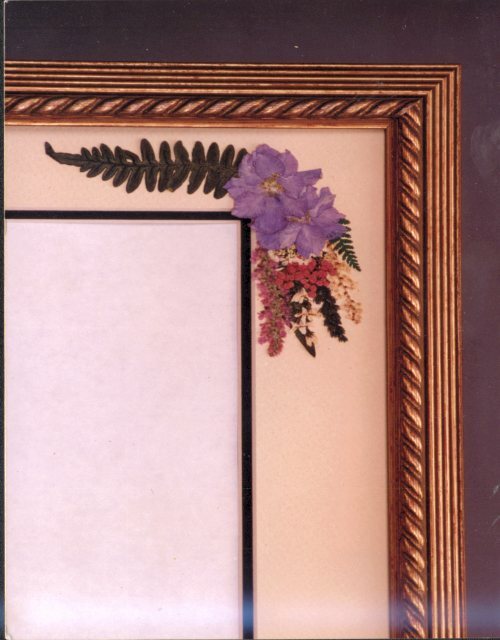 Custom wedding invitation framing. Give a lasting memory. 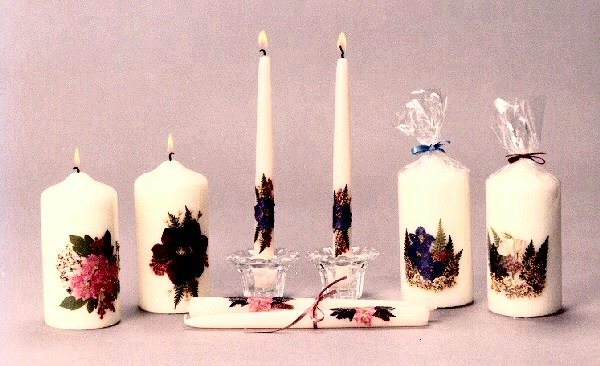 Pressed flowers gifts artistically arranged into beautiful designs. 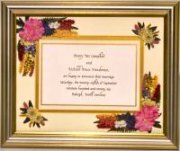 Beautiful gifts for wedding photos, one of a kind presents for bridal and baby showers, anniversaries, birthdays or other special gatherings.